AFP’s Networking and Knowledge provides a forum for members to participate in roundtable discussions on various topics such as major gifts, stewardship, special events, and donor retention and provides opportunities to network with fundraising professionals. AFP’s Fundamentals of Fundraising Course offers fundraising professionals with 0-4 years fundraising experience a complete overview of the development function, using case studies and projects for groups and individuals to make the learning experience both substantive and enjoyable. The course is composed of seven modules designed to meet real-world needs and challenges. AFP is committed to engaging young professionals and those young to the profession (Y2P) building their fundraising careers. AFP looks to fully leverage YP skills and expertise, and integrate them throughout our profession from front-line fundraiser, to executives, to prospect researchers and everything in between. 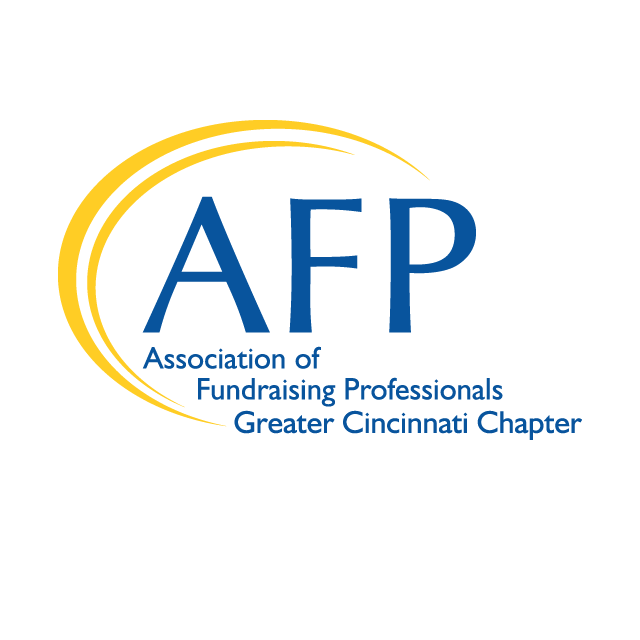 If you have questions regarding AFP sponsorship, please contact admin@afpcincinnati.org. Please consider becoming a sponsor of our annual National Philanthropy Day celebration. Learn more about NPD sponsorship.